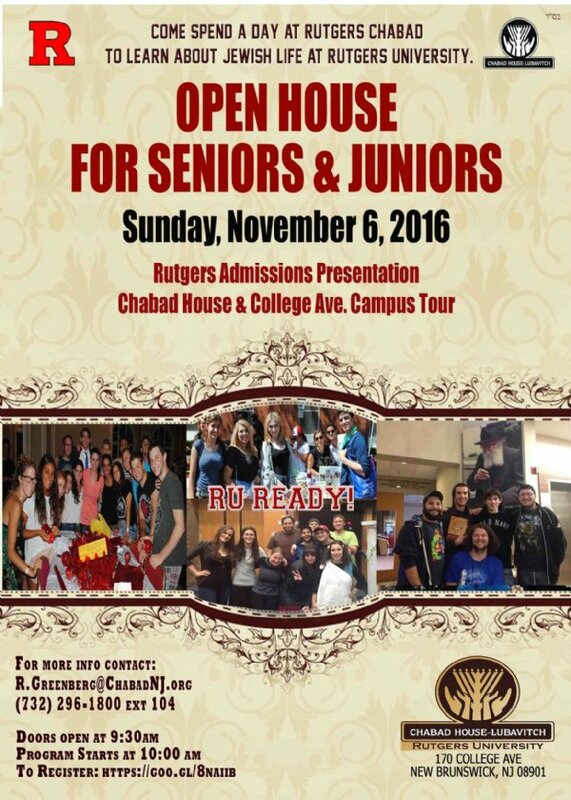 Open House for Seniors & Juniors This has been a wonderful year of growth at Rutgers Chabad! We have a full girl's dorm, almost full boy's dorm and record attendance at all our programs. We also have an amazing in-house, open to the public, cafe RU Brew at Chabad, and a one of a kind, delicious daily kosher meal program.